“Press it!” Cousin Ira said. Ira believes in hot and cold dealers and dice, karma, good runs and bad luck. I had been on a good run of luck and to Ira, this is precisely the time to raise your bet. Not so much. I guess I paid attention too much in math and logic classes. 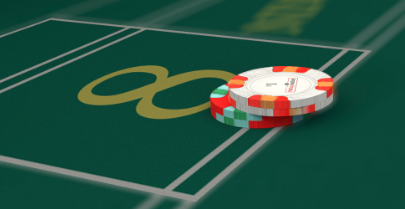 If you’ve ever been in a casino near a hot blackjack or craps table, you’ve probably heard an experienced player telling a beginner who’s on a hot streak and doing well to press his bet. The instruction is to raise the wager because things are going well; Karma or Fortuna is in your favor, so “press” your advantage. Talk to gamblers and some, like Cousin Ira, will tell you that the way to win big is to press your advantage. Others will say – correctly – this is hogwash, the gambler’s fallacy, that all bets are independent of another. In gambling, I fall in the latter group, though admittedly, I will sometimes press even knowing the folly of it. I just like the adrenaline rush and regardless only employ a small bankroll considering it entertainment dollars deployed. In business, though, we are not playing in a game with house odds, but rather one that rewards among other things hard work, preparation, ingenuity, and creativity. In business, we weigh upsides and downsides and then take action. So, when things are going well, certainly keep doing what you are doing to continue with the great results. But, this is also the time for experimentation. To me, this is similar to how thriving companies increase their research and development budgets in good times in order to experiment at the margins. They press it. Things at SalesReformSchool are going well and I’ve been “Pressing It” this year. You may have noticed that lately I’ve spent some money and put some time and effort into a few new marketing items. 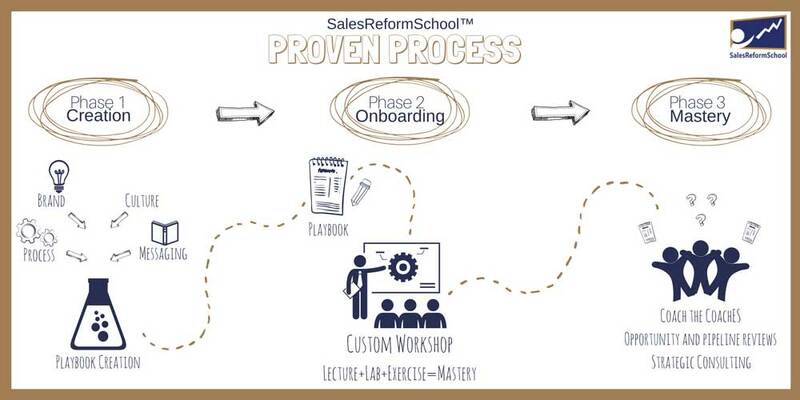 First, I had the talented Kristen Myers put together the below graphic of the SalesReformSchool Proven Process to help explain what I do for my clients. It took some time, but I think we got it right. Next, I joined with my partner Frontline Selling and began a live video webinar series. You can get to the first episode here. And lastly, I went to Fiverr, and hired irfan4 from Pakistan to create a whiteboard video for me. I’m thrilled with the result and early reviews are very positive. In less than a week and as of this writing, 2,519 people have viewed it on Linkedin. This blows me away. Please let me know if you want to learn more about this fascinating experience. The ideas for these projects came from others. They are all out of my zone of expertise, but with help and some effort, and because things are going well, I decided to press it. I’m confident they were the right things to do at the right time and hey, it was worth the risk. So, I’ll ask you: If things are going well, what are you going to do to PRESS IT? I’m a DIYer when it comes to personal finance. I’ve read The Millionaire Next Door and thought it was terrific. Even better and shorter, please read The Psychology of Money. It’s the best thing I’ve read on personal finance in a long, long time. Full screen, sound on. You’ll thank me. Yes, suitable for work or home. Through SalesReformSchool, I am available to you for Sales Process Design, Sales Messaging Creation, On-boarding/In-boarding Sales Team Workshops, Keynote Addresses, Facilitation, Group or One-on-One Coaching, Pipeline Reviews and other Sales Management Consulting.